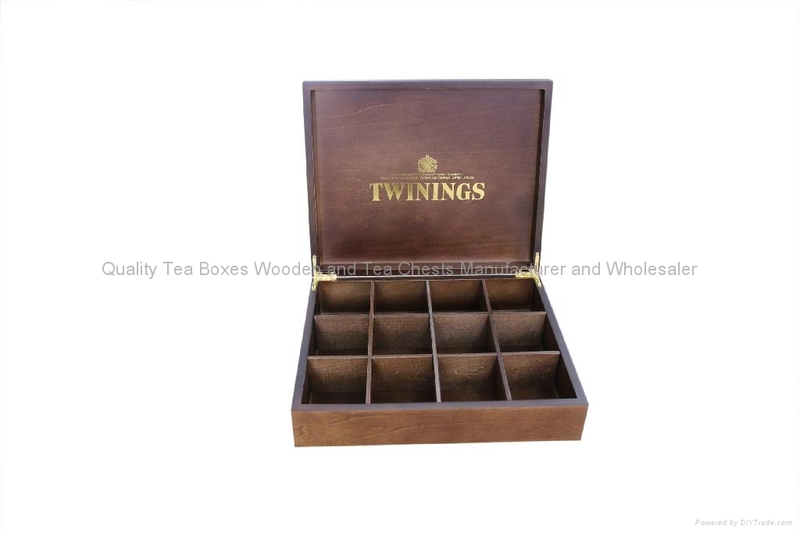 This beautiful luxury crafted box is created for Twinings teas with 12 compartments. 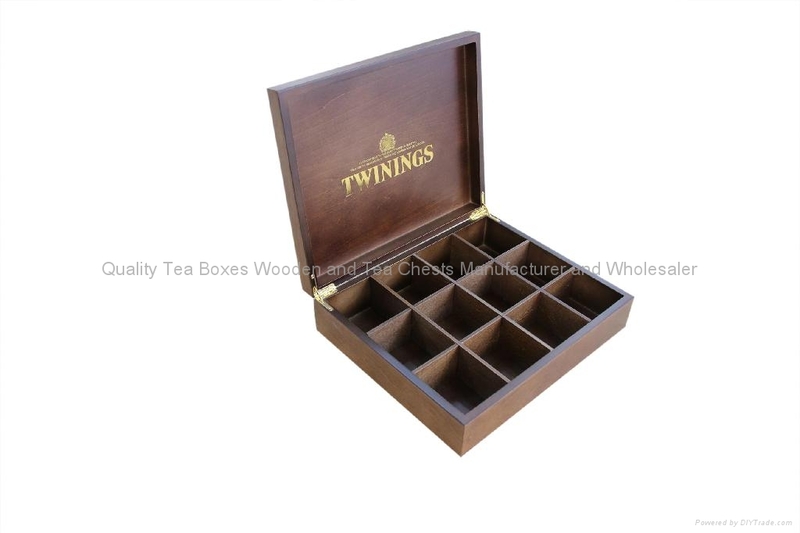 Compartment size is 68x75mm.Made from fine dark wood and finished with the Queen's golden Royal Warrant and solid brass hinges and openings. 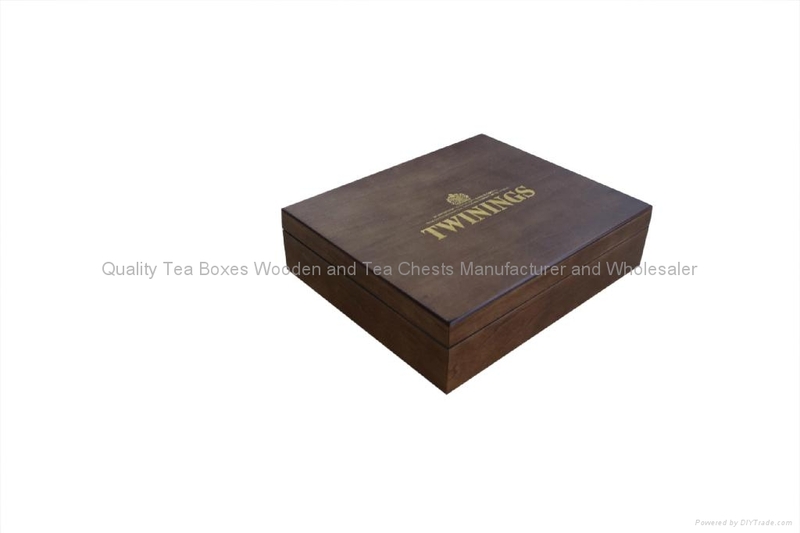 This details crafted quality box is perfect as a gift for tea lovers.